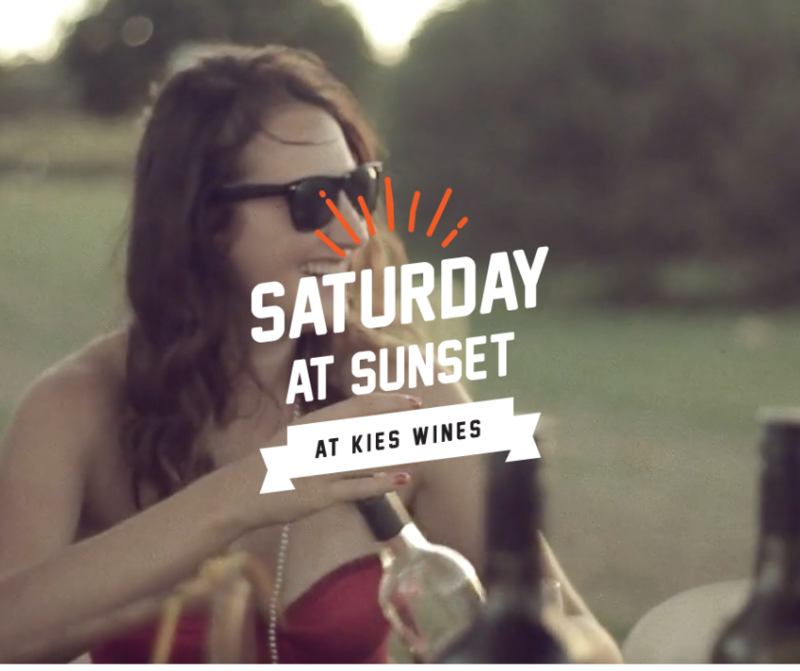 We are so excited to launch our brand new FREE SATURDAY AT SUNSET gatherings on the lawns at Kies Family Wines. 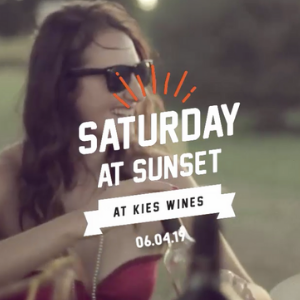 The countdown is on – we are a very short time away from our very first Saturday at Sunset gathering on the lawns of Kies Family Wines. Wahooo! Think pallet picnics, ice cold bubbles or award winning reds, live music, free wine tasting, incredible food at golden hour and chilled vibes. Don’t want to sit at a pallet picnic? No worries, we will have tables and chairs around as well as picnic rugs. This is a family friendly event and your fur family members are also welcome. 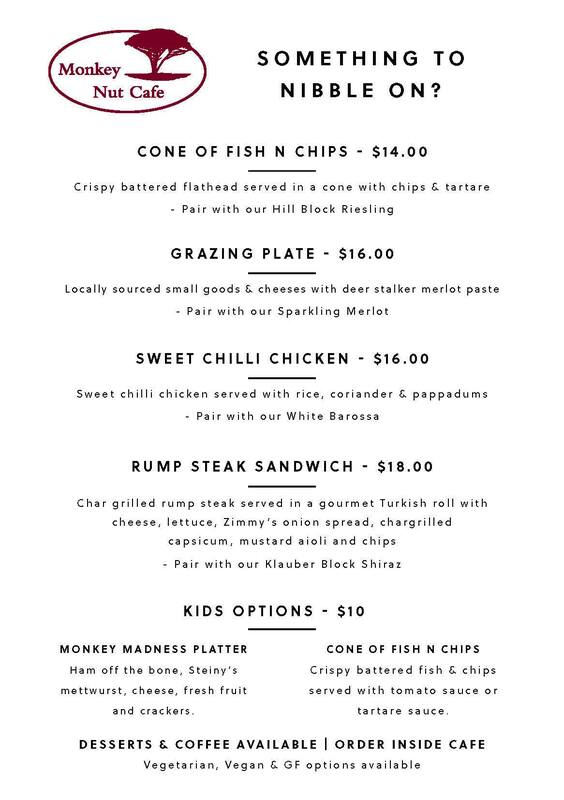 Food will be served from 5pm – 8pm and platters will be available from 8pm – 9pm. Our epic opening SATURDAY AT SUNSET event IS FREE and will be held on the very last day of daylight savings, this Saturday 6th of April 2019 from 5pm – 9pm. 1. 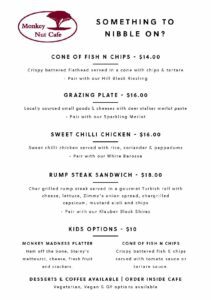 The menu: Please see left and please feel free to private message if you have any queries at all re: dietary requirements etc. 2.  Outside food and drink: As we have a cellar door and cafe, we don’t allow outside food and drink to be bought in. 3. Cost: This is a free event – yipppee! 😆🥂 No need to make a booking. We will have some tables and chairs around and some picnic blankets, but to be on the safe side it’s a good idea to bring your own picnic blanket if you have one handy. – Feel free to bring along all members of the family, young and old. This is a family friendly event. – Fur family members also welcome. – A picnic blanket just in case all the tables and blankets are taken. – A jacket. We are looking at a nice sunny day but that means it can be chilly when the sun goes down so a jacket or warm clothing is a great idea! 7. Opening times for the Monkey Nut Cafe: The Cafe, where you can order food, wine, coffee, dessert and other cold drinks, is open from 9.30am on Saturday and will close at the conclusion of the Saturday at Sunset event at 9pm. 8. Music: From 5pm we have the wonderful Ollie Sharp playing in the pavilion! Yay!